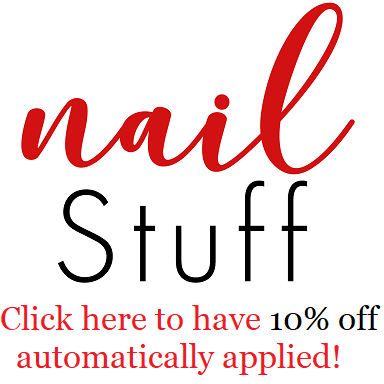 Intense Polish Therapy: My Favourite Polishes in 2018 | Anita A. 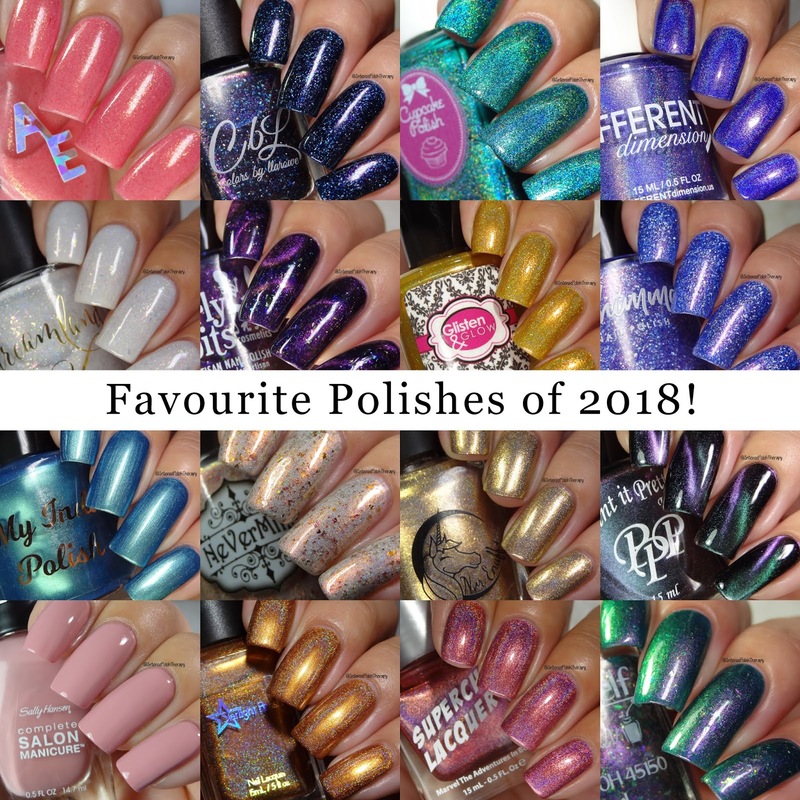 My Favourite Polishes in 2018 | Anita A. Hey loves, I hope you're all having an amazing 2019 so far! I am absolutely thrilled to be sharing my favourite polishes that I wore in 2018. Since some polishes I purchased myself & some polishes I received for as press samples, the polishes I got for free as PR will be marked with an asterisk(*). So let's jump right into it, I didn't hold back or limit myself so there is a decent amount of photos in this post... Sorry in advance. Alter Ego's Summer Sunset*, I tried this beauty out in April. It's a medium pink, filled with beautiful gold mirco flakies. I absolutely adore this polish. I used three medium thin coats to get full opacity. To see more photos of this polish Click Here. Still available. Colors by Llarowe's The Bad Seed*, I tried this stunning creation in August. The base starts off with a deep sapphire navy jelly base, that's filled with small holographic flakie bits, as well as purple, fuschia, amber, copper to green. For this polish I applied two coats for full opacity. To see more photos of it Click Here. No longer available. Cupcake Polish's A-Maze-ing* I tried this polish in August. It starts off with a navy teal base that's packed full of holographic particles for a linear finish. There's also a ton of multichrome shimmer that shifts from green to gold & bronze. Two coats for fully opacity. To see more photos of this polish Click Here. No Longer Available. Cupcake Polish's Water You Doing, I tried this polish in January. It starts off with a bright teal blue polish that's a linear holographic polish. Two coats for full opacity. To see more photos of this polish Click Here. Still Available. Different Dimension's Sleep With One Eye Open*, I tried this polish is September. It starts off with a strong purple base that has hints of blue, almost making it a blurple, it's filled with holographic particles for a strong linear holographic finish. In the bottle it does look more purple, however once it's applied to the nails & top coated, it comes to life. Two coats for full opacity. For more photos of this polish Click Here. No Longer Available. Different Dimension's Voila*, I tried this polish in December. It has a gorgeous winter periwinkle blue base, filled with pink iridescent shimmer. Three thin coats for full opacity. Dreamland Lacquer's A Long Winter's Nap*, I tried this polish in November. It starts off with a white crelly base, it's full of holographic particles, iridescent shimmer, & iridescent flakies. Three thin coats for full opacity. Dreamland Lacquer's Fire Burn*, I tried this polish in November. It starts with an orange jelly base that's filled with holographic mirco glitters. Three thin coats for full opacity. Dreamland Lacquer's You Look Like Seafood! *, I tried this polish in July. This polish has rich violet jelly base, that is absolutely packed with aurora shimmer, holographic particles, holographic mirco flakies & iridescent pink flakies. I applied three thin coats for full opacity. To see more photos please Click Here. No Longer Available. Girly Bits's All I Want Fir Christmas is You*, I tried this polish in November. It starts off with emerald green jelly base, that's absolutely filled with green iridescent shimmers as well as matching flakies. Three thin coats for full opacity. Girly Bits Antici... Pation! *, I wore this polish in September. It has a thermal base colour that's red when warm & black when cold. There's also a ton of red mirco flakes. Three thin coats for full opacity. To see more swatches of this polish Click Here. No Longer Available. Girly Bits Remember My Name*, I wore this polish in July. It has a deep grape jelly base, that's absolutely packaged with multichrome flakies as well as multichrome magnetic pigment that shifts from purple to orange. I applied one good coat & allowed it to fully dry, then I applied another coat & used my arc magnet to create this magnetized design. Glisten & Glow's #Cellfie*, I tried this polish in December. It has a rich yellow jelly base, filled with iridescent shimmer, holographic particles & small glitters. Three thin coats for full opacity! KB Shimmer Seas The Day*, I tried this polish in July. It has a blue jelly base packed with pink to amber shimmer as & a ton of silver holographic flakies. Three thin coats for full opacity. My Indie Polish's Queen's Quay*, I wore this polish in June. It has a gorgeous blue shimmer duochrome base. It shifts from a teal, to medium blue. It also contains hints of gold as well as holographic particles. Three thin coats for full opacity. NeVerMind Polish's Phoenix Fire, I wore this polish in January. It has a gorgeous red, orange to yellow shimmer, with red, orange to yellow chrome flakie, all complimented by a holographic particles. Nvr Enuff's Dragon Kingdom*, I wore this polish in October. It's a completely gold polish with a linear holographic finish, complimented by some rich yellow gold toned mirco shimmer flakies. Two coats for full opacity. Paint It Pretty Polish's Chick Magnet*, I tried this polish in August. This a magnetic multichrome polish that starts off as teal, then shifts to purple & lavender. I applied one coat over a black polish for my swatches. Sally Hansen's Rose to the Occassion*, I wore this in February. is a beautiful dusty medium pink, it's my favourite out of the entire collection. I think it's fantastic shade for the entire year. Two coats for fully opacity. To see more photos of this polish Click Here. Might Still Available. Starlight Polish's Blaze Crystal*, I wore this polish in February. This is a rich golden burnt orange colour, with a metallic linear holographic finish. For full opacity, I applied three thin coats. Superchic Lacquer's Exposed*, I wore this in December. This is a soft medium rosy pink with a linear holographic finish. One coat for full opacity. Superchic Lacquer's Throwing Shade*, I wore this in December. This a medium-dark lapis blue with a linear holographic finish. One coat for full opacity. Top Shelf Lacquer's Sporty Recovery*, I wore this polish in July. This has a dusty aqua crelly base, absolutely package with a bunch of various holographic glitters. Three thin coats for full opacity. Top Shelf Lacquer's Your Hair Deflated! *, I wore this polish in July. This has a unique dark teal shade, that' absolutely packed full of green to aqua & yellow to amber flakies. Which is then complimented by a TON of aurora shimmer that shifts to purple & green. Three thin coats for full opacity. So these are my absolutely favourite polishes that I tried in 2018. I can't wait to see what I wear in 2019! I am looking forward to all the new polishes. Please don't ask me to pick a favourite. These I honestly can't narrow it down anymore. They're all incredible, & unique. I highly recommend checking out some of these, I know some aren't available to purchase from their shop, or a stockist. However you might be able to find them in a destash!